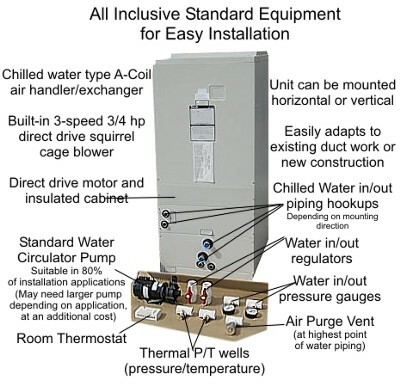 Indoor air handler not included in price. 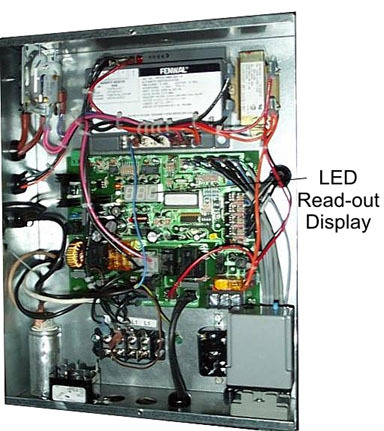 Learn more about our Flame Control System. 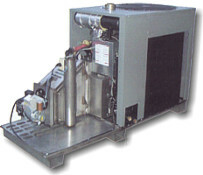 Using your waste oil as a heat source, you can use this chiller in many applications. Efficient Ammonia Absorbtion can be used for air conditioning, cooling machinery, refrigeration and more. High Grade Stainless Steel with galvaneel sheeted cabinets for long life in outside applications. 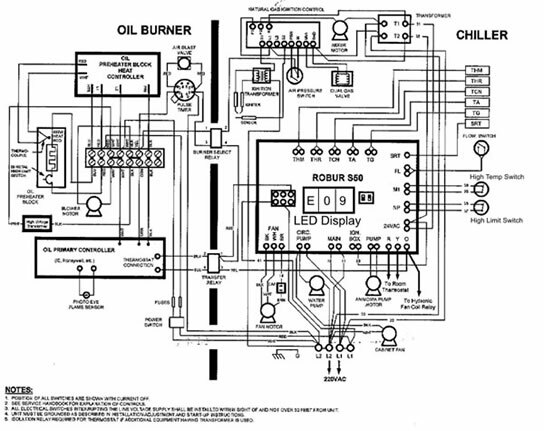 Patented, waste oil direct fired absorption Air Conditioner Design. 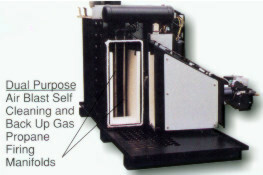 We successfully adapted our waste oil burner technology to the time tested and proven gas fired air conditioner design. It's performance exceeded our engineers' expectations! Lift out 3 large cabinet doors and removal of 2 securing nuts on swing out combustion chamber is all that is needed to allow easy access for occasional cleaning and service, when needed. When burning waste oil, timed airblasts self-clean the generator keeping ash deposit build up to a minimum, thus reducing required cleaning intervals. 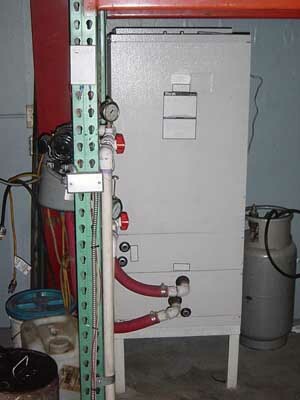 As a backup to waste oils, our manifolds will burn gas or propane to ensure constant cooling while performing routine cleaning. 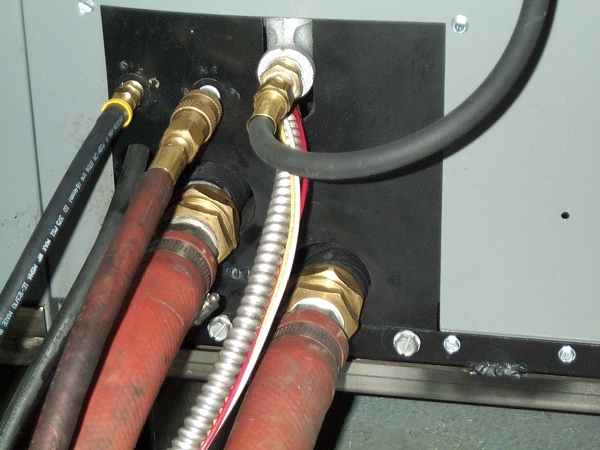 Easy to Install Flexible connectors at the air handler and the air conditioner unit.